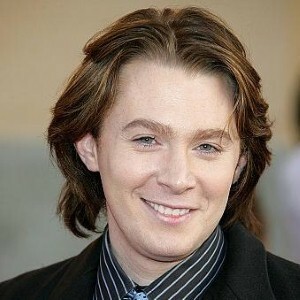 Singer and season two American Idol runner-up Clay Aiken says his 22-month old son, Parker, isn’t his biggest fan. "My son doesn’t like to listen to me sing, but he enjoys listening to other people sing," People magazine reports Aiken told Pop Eater. The singer, who admits that singing for his little one makes him nervous, says his son’s indifference towards him may just be caused by genetics. "Maybe kids just don’t like to hear their parents, ever. When they’re teenagers they don’t want to hear them. When they’re babies they don’t want to hear ’em sing. Maybe it’s just a genetic thing." Parker is Aiken’s only child. He was conceived via in vitro fertilization with friend and music producer, Jaymes Foster. The couple is not romantically involved and plans to raise Parker together. Aiken, who publicly admitted to being gay shortly after the birth of his son, recently released his fifth album, Tried & True, and will tour with fellow American Idol alum Ruben Studdard this summer. The singer also recently weighed in on who should replace departing American Idol judge, Simon Cowell, saying he’s up to the challenge. "I’ve always thought it would be a great addition to the panel to have someone who’s a former contestant and knows what it’s like to be up on that stage and be critiqued," he told Billboard.com.